40 beautiful photo images of Orchids by Janne Zettergren, photographer ©. 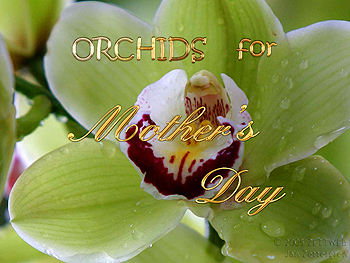 Orchids for Mother's Day splash page! Set any image from screensaver to your desktop by hitting 'F2'. Optional music included, or you can add your own music to this saver which also supports dual monitors. Screensaver copyright, ART-TLC ©.